Award for Diggins: Best Poster CYTO 2016! 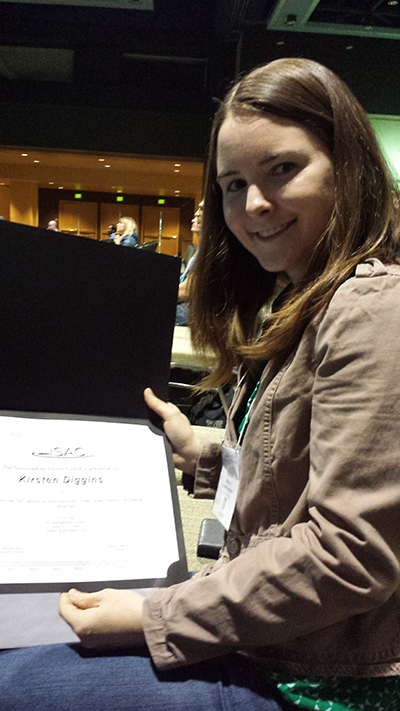 Congratulations to Kirsten Diggins for her Best Poster at CYTO 2016! This work describing Marker Enrichment Modeling (MEM) went on to be published in Nature Methods in 2017. This entry was posted in Awards, Irish Lab Members, News and tagged award, best poster, Kirsten Diggins, MEM. Bookmark the permalink.